A portrait of Kleist from Die Gartenlaube, 1858. 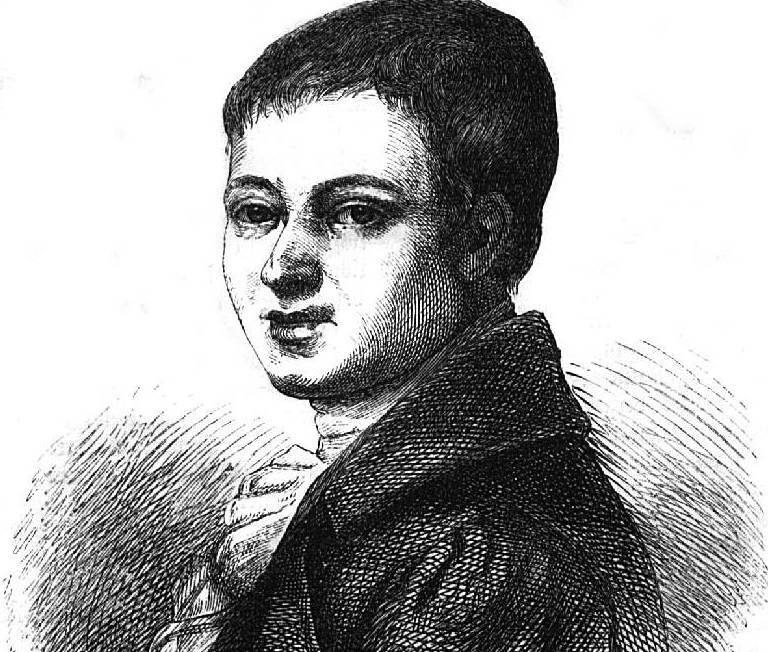 On November 21, 1811, the writer Heinrich von Kleist shot his beloved, the terminally ill Henriette Vogel, and then himself, on the banks of Kleiner Wannsee. The innkeeper who housed them the night before described the couple, thirty-four and thirty-one, as cheerful and voluble; Kleist wrote in a final letter to his sister that he viewed death with “inexpressible serenity.” Although controversial, troubled, and financially unsuccessful in his day, he went on to achieve a monumental posthumous reputation and is today regarded as one of the finest writers—playwright, philosopher, and novelist—in the German canon. Vogel was herself an accomplished intellectual. Theirs is one of the most famous suicide pacts in history, but the details are hazy—some accounts say the suicide was her idea, others that she wasn’t even his first choice, a theory espoused by the recent film Amour Fou. The exact location of the bodies is unknown. The site is easy to visit; it’s on what’s now the southernmost edge of Berlin, a short walk from the S-Bahn Station through the woods. And when the sun shines off the lake and filters through the yellowing branches, it’s heart-catchingly beautiful.